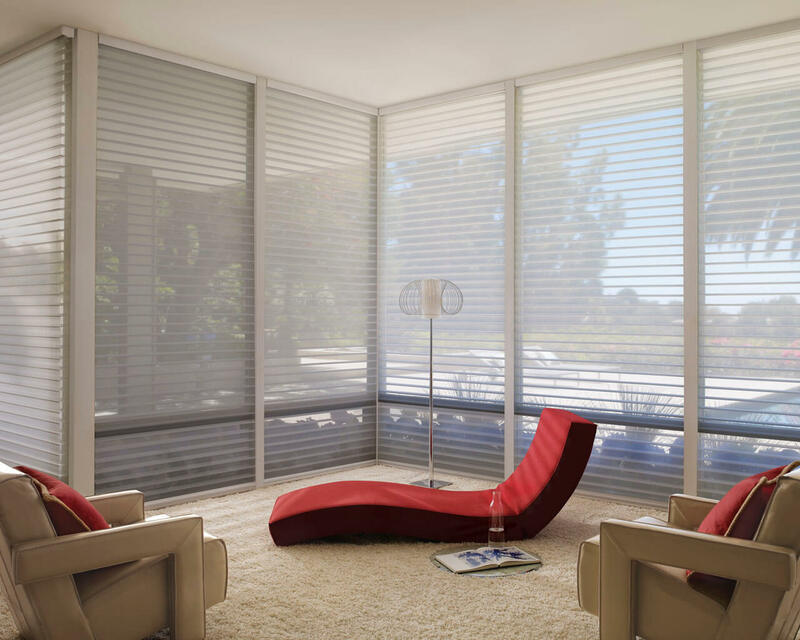 Luxaflex Silhouette Shadings are made from 100% polyester making them durable and easy to clean. There are no cords or tapes to obstruct your view to the outside and they are available in a diverse range of colours and textures. 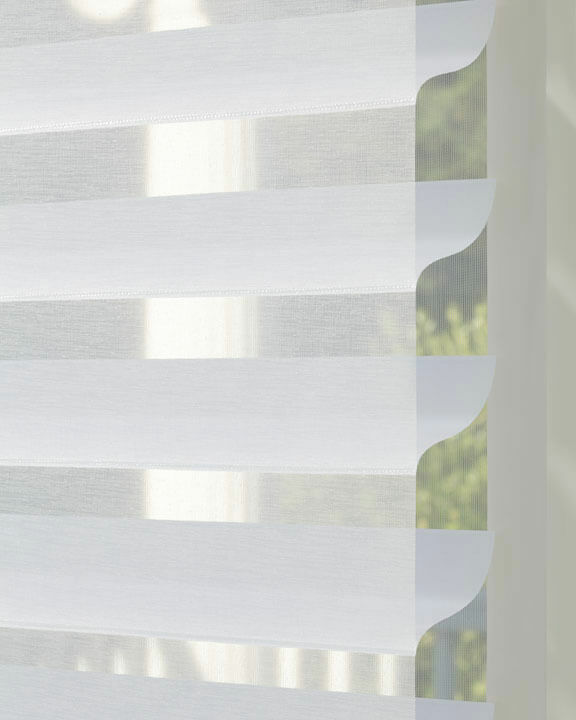 Even with the vanes open you get UV Protection, while enhancing natural daylight and reducing the need for lights.